NOTE: These dolls are not available for purchase. If you have ever searched through ebay for Marilyn Monroe dolls, you will have noticed the abundance of "custom" dolls. These are normally Marilyn dolls that the artist has re-painted and re-dressed. You will usually see OOAK advertised which means "One of a Kind". I was never impressed with a custom doll until the I saw the work of Kim Goodwin. So I decided to showcase his dolls here with his permission because I am such a fan of his work. 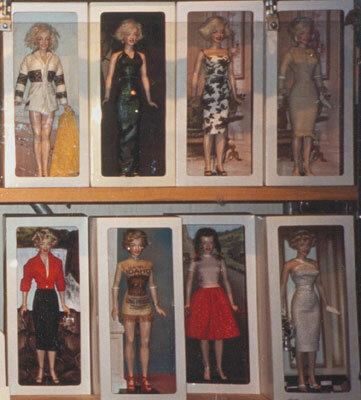 The first time I saw Kim's dolls was in August of 2001 when I went to LA for Marilyn's memorial. 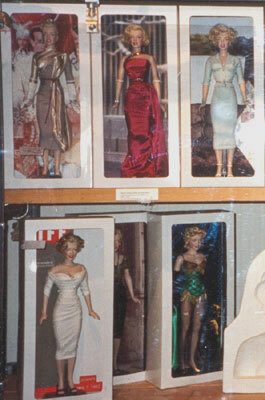 Kim's dolls were on display at the Hollywood Entertainment Museum. I immediately fell in love with them and I took this photo. When these dolls first appeared for sale on Ebay in 2002 the Marilyn community took notice. The bidding was fierce and most dolls went for upwards of $700 US!! The prices have only increased since then as the value of these dolls continue to climb. Now, you may wonder what is so special about a doll that people would be willing to pay that kind of money for them? Well, once you browse through the gallery of Kim Goodwin's work you will understand. Not only are these dolls painstaking hand created to a remarkable resemblence of Marilyn but the costumes are all EXACT duplicates of the originals that she actually wore. 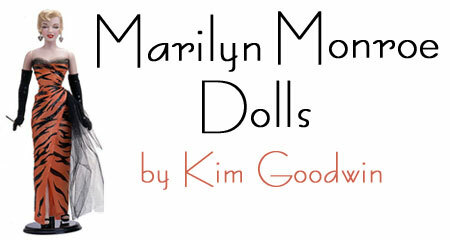 There are no other dolls in existence that capture Marilyn's likeness the way Kim does. A top make-up artist with the prestigious Cloutier agency, Kim Goodwin was responsible for perfecting and refining some of the most famous faces of our time, from Elizabeth Taylor to Sharon Stone and Charlize Theron. He also served as Marie Osmond's personal make-up artist for many years. Dissatisfied with the Marilyn portrait dolls which claim to be "detail specific," he created his own. Using the Franklin Mint doll as a vinyl "form," Kim striped it down to basics and started fresh. He skillfully and meticulously adds hair, make-up, clothing and accessories specific to Marilyn's character and costume in each film. He didn't sew, but brilliantly found ways to approximate Marilyn's original movie costumes. Kim's dolls continue to be coveted by the Marilyn community and the lucky few that own one will never forget Kim or his amazing talents. 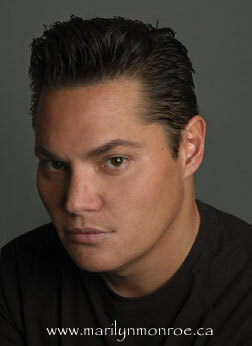 I want to thank Kim for allowing me to display his magnificent dolls on my website.